We have a conversation at the workshop – and after the interview I talk about what we accomplished during the event and the sourcing plans for going forward, enjoy! Hey, Ino – welcome back! One strategy we learned from Meir is more generic products with custom packaging – a kind of one size fits all solution. 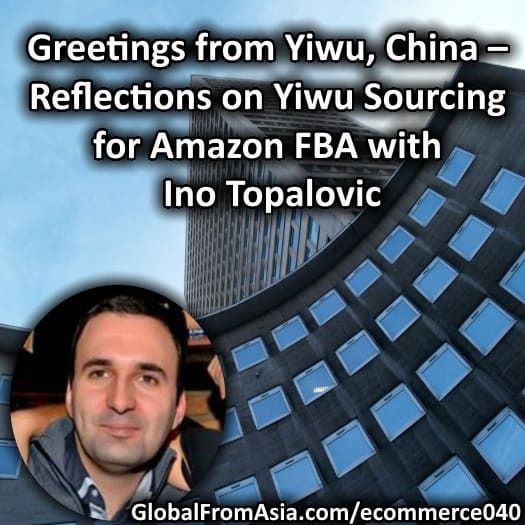 Here we are a year into the Amazon FBA “game” and now are picking up more ASINs more products. Thanks for listening – we had a hyperactive couple days at the Yiwu market and hope to grow the business to new heights from it. Next week will be ready to share the new GM and partner of the business – he is doing great already but need some more time to announce it. Hello there, just became aware of your blog through Google, and found that it is really informative. I’m going to watch out Brusselsels. I will appreciate if you continue this in future. Many people will be benefited from your writing. Cheers!